100,000 Jobs Posted on Tradesmen.ie!! 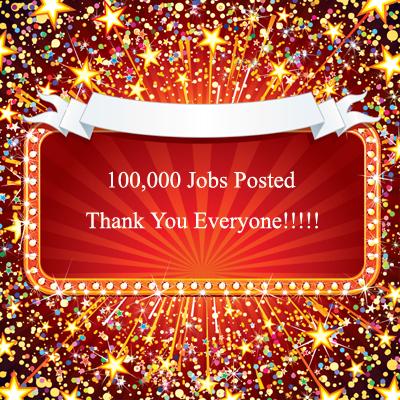 today we exceeded 100,000 jobs posted on Tradesmen.ie since we launched the website in June 2008. Based on the value of the jobs posted the potential value of this work to tradesmen and to the Irish economy is over €305 million. I’d just like to say thank you so much to all of the customers and tradesmen for your support over the last six years. We particularly appreciate how you are spreading the good news and more and more of the jobs posted come from word of mouth. It just shows that there is still plenty of work out there and this service makes it easier for customers and tradesmen to find each other quickly and hopefully get a better quality job done at a more competitive price. We will continue to develop new features and mechanisms to ensure that tradesmen receive a steady stream of work and that customers have the easiest and quickest way of obtaining quotes. Please continue to help us to spread the message about Tradesmen.ie and help us do our bit to create and sustain jobs in Ireland!